This year’s first meeting of the Rhetoric Reading Group will take place at 6:30 PM, January 24. The location will be Professor Marback’s residence. 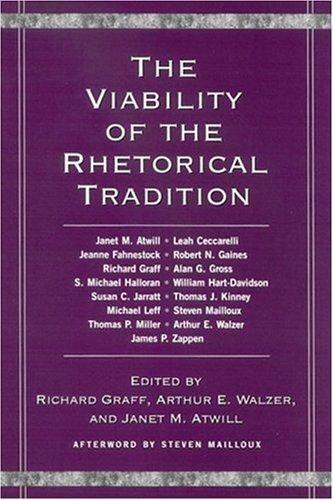 Our text will be the multi-author volume The Viability of the Rhetorical Tradition (edited by Richard Graff, Arthur E. Walzer, and Janet M. Atwill; SUNY Press, 2005).